As Gaza reels from a three-week assault by Israel, a Palestinian who could play a key role in reconstruction efforts was confirmed as ambassador to Costa Rica this week. Riyad H. Mansour, the Palestinian Authority’s observer to the United Nations, will serve as ambassador from New York City, where the U.N. is based. Mansour, 61, attended college and earned his Ph.D. in the U.S. state of Ohio, and he worked as a professor and consultant in Florida. He served as deputy observer to the U.N. for 11 years and observer for almost four.His confirmation this week by Casa Presidencial comes nearly a year after Costa Rica recognized Palestinian statehood, which the U.N. and the United States do not recognize. The Palestinian Authority has diplomatic representation in about 100 countries, mostly in Africa, Asia, Eastern Europe and the Middle East. But a unified and widely recognized Palestinian state appeared elusive this month after Israeli attacks further divided the Palestinian Authority, which controls the West Bank, and the Islamist militant group Hamas, which rules Gaza. Killing about 1,300 Palestinians and causing an estimated $2 billion in damage, the attacks appear to have strengthened Hamas and marginalized its moderate rival, Palestinian Authority President Mahmoud Abbas. In an interview with The Tico Times this week, Mansour said he worried Israeli aggression would encourage extremism among Palestinians and dash the Palestinian Authority’s dreams of statehood. 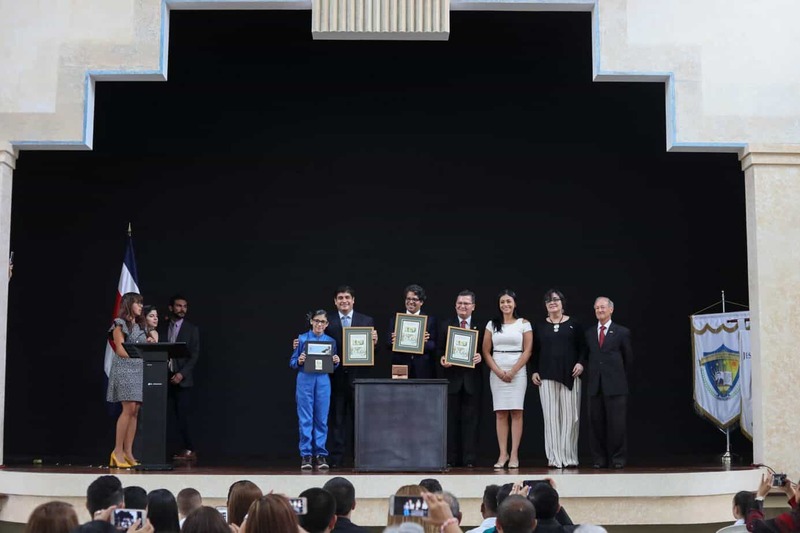 TT: What does it mean to the Palestinian Authority that Costa Rica has recognized Palestine as a state? RM: It means a lot. First of all, it was done based on principle. Costa Rica voted for the (U.N. General Assembly) resolution in 1947 that called for the establishment of two states. Costa Rica recognized one (Israel), and now they have decided to recognize the other one (Palestine), which is about to be born. That is a principled position, a good position that will open the door for other countries to (follow suit). Some Ticos say that Costa Rica, given its seat on the U.N. Security Council, has not spoken strongly enough against the Israeli invasion. Not true. I know well the position of Costa Rican ambassador (to the U.N.) Jorge Urbina. He voted in favor of (Security Council) resolution that called for an immediate ceasefire, and he voted in favor of the U.N. General Assembly resolution that called for a ceasefire. Do you accept that this war began after Hamas ended a six-month ceasefire, brokered by Egypt? Israel was imposing a blockade and suffocating the life of 1.5 million Palestinians. That pushed Hamas and others to break the tadia (truce) because they felt that Israel was choking them. So they started firing rockets. Israel says its 22-day assault was a response to rocket fire by Hamas. Does Israel have a right to defend itself? Well, President Abbas said many times that he is not in favor of that action (by Hamas). But in international law, the principle of proportionality means that if somebody fires a rocket that hardly does anything, you don’t go and unleash weapons of mass destruction where you kill or injure 7,000 Palestinians, (many of) them children and women. It is illegal to do that. Of course, if somebody fires something at Israel, they can retaliate, but in a proportionate way. What should the consequences be for Israel? In one (U.N.) school, the Israeli army killed 43 civilians and injured (150). This is a massacre. It needs to be investigated by U.N. independent parties like the Human Rights Council. Investigators need to find those responsible on the Israeli side for these massacres and bring them to justice. Should those responsible be prosecuted in the International Criminal Court in The Hague? That would be one option because Israel committed several of these massacres. These are war crimes. What role does the Palestinian Authority want to play in post-war Gaza? (Our) role lies in organizing political support and raising funds and coordinating with the U.N. Since the ceasefire Sunday, we attended summits in Egypt, Kuwait and the United Nations to (press) for an immediate withdrawal of Israeli forces and address the humanitarian and economic needs of our people. We are working to set up a fund of about $2 billion to reconstruct Gaza. An Israeli tank? We will not do that. The first thing that needs to be done is to heal wounds and rebuild Gaza. Most likely that will be done by U.N. agencies and international organizations. It’s not going to be done by Hamas or by us. We also want to establish a national reconciliation cabinet to reunify Gaza and the West Bank. Its members would be technocrats approved by all Palestinian parties, including Hamas. It would help supervise the rebuilding of Gaza, and prepare presidential and parliamentarian elections in six months. It would not be a Hamas government or (Abbas’) government. It’s a new government. We want to put our house in order. We could not do it through internal dialogue. We need Arab help. Egypt is the country that has been mediating, and we hope they succeed. Do you think Hamas would agree to a unity government? This war has led many Palestinians to rally behind Hamas, as the Palestinian Authority is seen as increasingly ineffective. Which brings me to the question of “What is the motive of Israel?” It is not peace. Israel’s actions will deepen resentment and hatred and push more Palestinians to extremism. So it seems that maybe Israel wants the Gaza strip to split (permanently) from the Palestinian territory. That would destroy our hope of building our own Palestinian state. If Israel continues (its aggression), extremists will emerge from among us, maybe even more extremist than Hamas, who will try to inflict causalities on the Israelis. The suffering will be on both sides, and the cycle of violence will continue. It’s a short-sighted policy. Is there a danger that Gaza will become an independent state? John Bolton, the previous U.S. ambassador to the U.N., said there should be three states in that region: the Gaza Islamist state, and the West Bank state and Israel. Analysts are saying the Palestinian Authority is the biggest loser of this war. I think the main losers of this war are the Palestinian people.